Alan L. Landsberg is “of counsel” and a co-founder of Keller Landsberg PA, a trial law firm with a focus on legal malpractice and professional liability, insurance coverage and complex litigation. 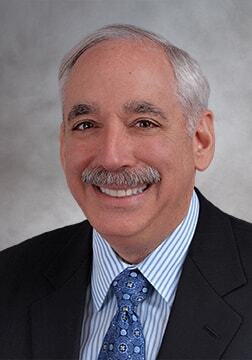 Mr. Landsberg is a Florida Certified Civil Circuit Mediator, and was a Board Certified Civil Trial Lawyer by The Florida Bar (June 1, 1985 – May 31, 2015). He is licensed in Florida, New York and Illinois, and in the United States District Courts, Southern and Middle Districts, Trial Bar and the United States Supreme Court. Mr. Landsberg was elected to the American Board of Trial Advocates (ABOTA) in 2007. He was a member of the Civil Procedure and Rules Committee of The Florida Bar from 1996 to 2002 and a member of the Professional Ethics Committee of The Florida Bar from 2002 to 2008, and reappointed for a new term in 2013. Mr. Landsberg co-founded the firm after four years at Bunnell Woulfe & Keller where he was a partner in the litigation practice group. He is also a certified mediator, and spent a year with Mediation One. In addition, he spent nearly 25 years at the Hartford Insurance Company where he was the managing attorney, overseeing 15 attorneys. He focused his time on trial practice including insurance coverage, construction, products liability, personal injury suits and workers compensation. In addition to his legal experience, Mr. Landsberg also served in the Illinois National Guard, as Legal Clerk to Staff Judge Advocate. Pursuant to Florida Bar requirements, for details regarding Mr. Landsberg’s or the firm’s case results, including any published appeals, please first read our Disclaimer page. Mr. Landsberg earned his J.D. from DePaul University, College of Law, Chicago and his B.A. in political science, with honors, from the University of Illinois, Chicago. A native of Chicago Illinois, he has resided in South Florida since 1978 and also maintains a residence in Manhattan. Mr. Landsberg was named Medmarc’s 2012 Lawyers Professional Liability Defense Lawyer of the Year and has been named as a Best Lawyer in 2014.